» Concreting station EUROSTRADE COMPANY S.A.
Servicii de calitate la nivel local, pentru a obtine succese pe plan national ! The Company produces concrete, capping and mortars. Also, it offers testing services for the delivered, transport and concrete pumping products. Concrete station has a capacity of almost 70 m3 of concrete (B200 medium). The raw material used for the concrete production is resulted from the branding and crushing process and the cement is bought from the producers. Our installation is ecologic and respects the legal requirements in the environmental protection domain. This one has zero yield dust and noise. 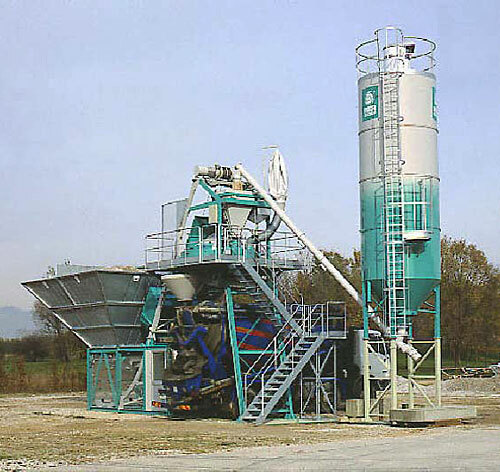 It has also the capacity to recycle the hardened concrete and prepare and furnish concrete in extreme conditions of temperature. © 2012 EUROSTRADE COMPANY S.A.